mmnuNewTab_Hint=Make a new page tab. 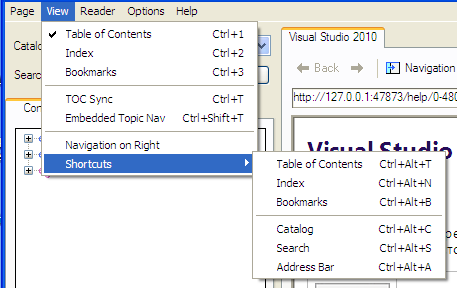 Ctrl+Click any link/button to open a topic in a new page. mmnuOnlineOffline_Hint=Open online version of current local page. Hold Shift for new window, Hold Ctrl for new tab. mmnuHelpLibraryManager_Hint=Open the Help Library Manager in the context of the selected Catalog. mmnuHelpLibraryAgent_Hint=Start Agent if not already running in taskbar tray. Agent is required to make help calls. mmnuMshcMigrateTool_Hint=Run mshcMigrate.exe. 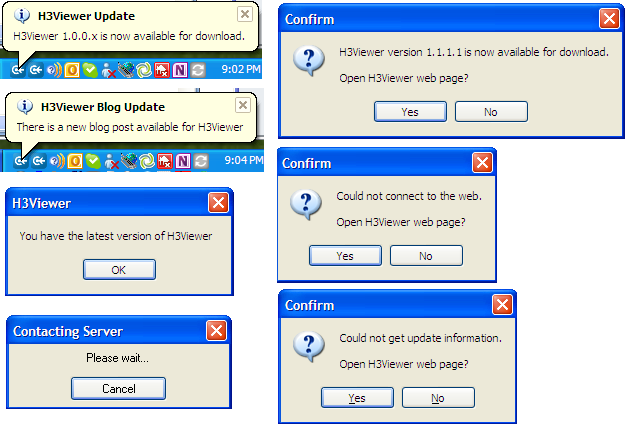 Free software tools for MS Help Viewer 1.0 by Helpware. 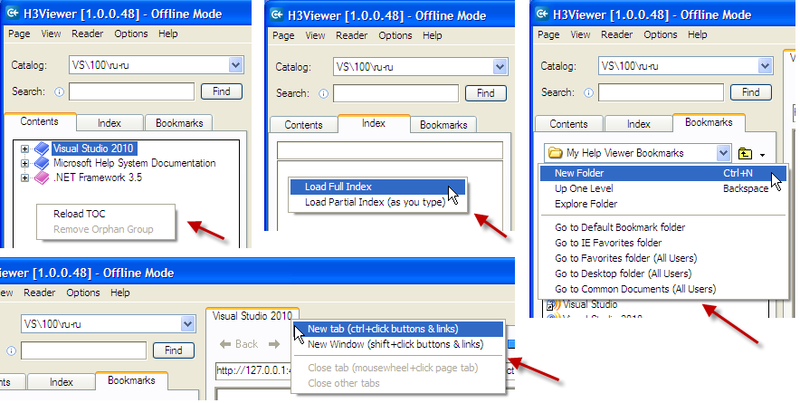 mmnuSetDefaultViewer_Hint=Set the default viewer for MS HV 1.0. This sets where VS F1 help goes. mmnuQuickTOCLoad_Hint=Improves startup speed. When checked only TOC root items are loaded initially (no sub items). Remove orphans for faster startup. DebugPage_FindBtnSuperTip=Find Text|Ctrl+F - Sets the focus to the edit field and selects all text.||F3 to find next text. MsgTxt_KeywordQueryEmpty=Keyword query: No items returned. MsgTxt_IndexLoadAborted=User Cancelled. Loaded %1\%2 of %3 level 1 index items. MsgTxt_SwitchToOfflineMode=Agent wont start in VS online mode. Switch to offline mode now? MsgTxt_GoToMshcMigrateDownloadPage=mshcMigrate by Helpware is not installed on this PC.||Go to mshcMigrate download page? MsgTxt_UITransationInfo=UI translation information is available on the Helpware website.||Go to web page? MsgTxt_EndOfFileSearchfromStart=End of file. Search from start? WebCheck_CouldNotConnect=Could not connect to the web.||Open %1 web page? WebCheck_CouldNotGetUpdateInfo=Could not get update information.||Open %1 web page? WebCheck_VersionNowAvailable=%1 version %2 is now available for download||Open %3 web page? WebCheck_NowAvailable=%1 %2 is now available for download. To test these webCheck messages... Open the Debug window, expand the bottom panel and click String Test.